Ellesmere Port Market’s public and disabled toilets have benefited from major improvement works. 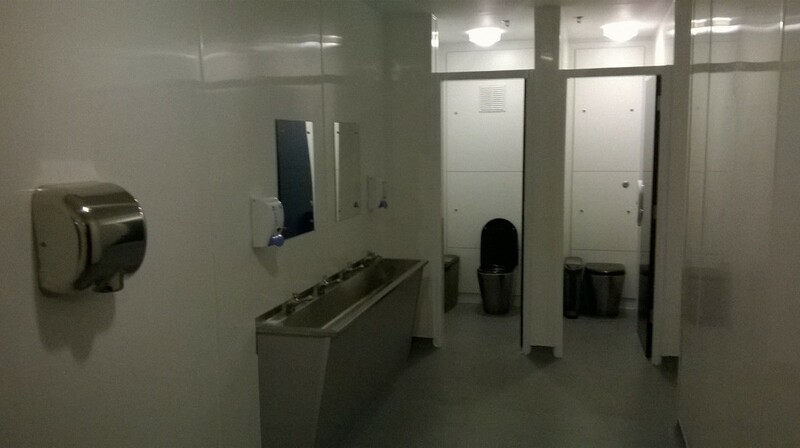 The toilets, which have suffered from antisocial behavior and misuse in the past, have now been fitted out with vandal resistant materials and equipment including the installation of new stainless steel sanitary ware and hand dryers. The £60,000 improvement project, carried out by facilities and projects provider Norland Managed Services, has also seen the replacement of the ceiling and the installation of new lighting, wall panelling, flooring and decoration throughout. Executive Member for Localities, Councillor Lynn Riley, said: “Over the years Ellesmere Port Market’s toilets have suffered from anti-social behavior and vandalism and I know many local residents and market visitors were extremely frustrated about situations that closed the facilities. Local member, Councillor Justin Madders, said: “The condition of the market toilets has been a very frequent source of criticism and concern from local residents and shoppers. Ellesmere Port Market consists of 157 individual shops and stalls offering an eclectic mixture of trades, catering for all tastes and needs – all in a modern, bright building refurbished in 2006. Among the many trades you will find hardware, garden, tailoring, footwear, fashion, health and beauty, electrical supplies, beautiful handcrafted jewellery and pet supplies to name only a few as well as a modern and spacious food court seating up to 100 people. Adjoining the main market is the indoor Flea Market usually consisting of around 38 traders dealing in all manner of second hand treasures. Open every Monday, Thursday and Sunday, visitors can get the best of both worlds with traders selling both old and new. Chair of the Town Centre Advisory Panel, Les Lyons, said: “At the time of the creation of the Town Centre Improvements Advisory Body, substantial improvements to the toilet facilities in the Market were very high on our wish list and I am delighted that this work has now been completed. PHOTO CAPTION: Images of the completed works courtesy of Norland Managed Services.